A death mask is a cast made of a persons face hours after death, a process that goes back to ancient times and was common until the mid 20th century. These are usually done in plaster or wax. The casts are then used as mementos of the dead or to create portraits. (J Edgar Hoover kept a death mask of John Dillinger in his office as a souvenir of his war on crime.) The History Channel made a documentary on the topic, entitled Death Masks. Mostly the documentary focused on what the masks could tell us about the deceased. Was the man shot in Chicago really John Dillinger? Is the dollar bill an accurate portrait of George Washington? It seems that sometimes more than one death mask will surface for a particular person and it is a challenge to find which is the right one. The two life masks of Lincoln, taken 5 years apart (one before he became president and one just weeks before he died) shows a marked decline in his health. The last mask made has actually be confused for a death mask. The documentary goes into some of the psychology behind the desk masks. "From ancient times, capturing the faces of the dead for all to see was a macabre reminder that we all end up as dust." 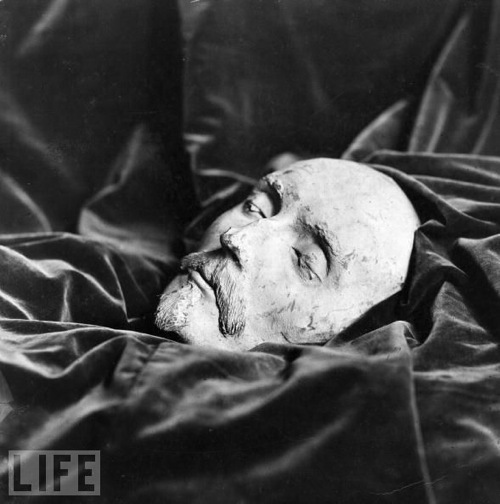 Death masks were not just meant to be mementos but to serve as a warning to the living. "Death masks in particular are dark. This is not a living person. This is a corpse. In many ways they are a message to the living. They are about your mortality. About this is what you will become. They are designed to frighten in many ways." 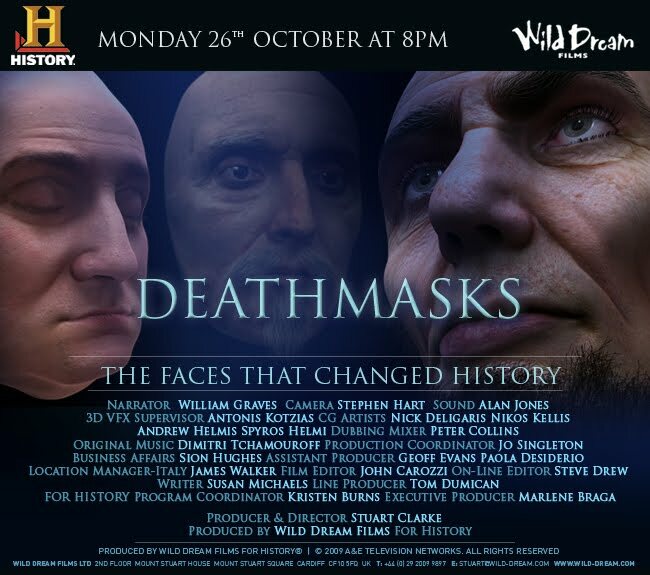 There are some very frightening death masks shown in the documentary. The death masks reminded me a lot of the death photography. Both I find interesting but just a bit creepy. I'm not sure I would want either hanging in my living room. (Who wants a reminder of their own mortality hanging above their television?) I think I would much rather of a life mask of a loved one. Remember how they were before death, not after.